Anxiety can effect body and mind! Everyone has anxiety from time to time, but chronic anxiety can interfere with your quality of life. 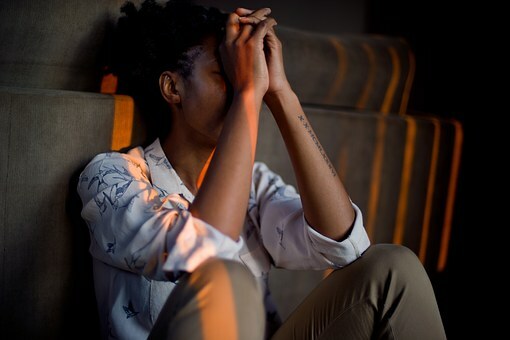 While perhaps most recognized for behavioral changes, anxiety can also have serious consequences on your mental and physical health. Biofeedback focuses on often hidden indicators of prolonged or inordinate stress an anxiety. The monitoring device is applied gently to the skin-called surface sensors-to detect specific physiological functions. This non-invasive, never-painful technique enables the therapist and patient to sit together and monitor the results in real-time. Manage anxiety with a holistic approach. Find time to relief stress and anxiety to avoid the health damage it might create. •	GSR: Galvanic Skin Response or Skin Conductance, commonly referred to as sweating-a classic evidence-based stress indicator. Patients learn stress-reducing techniques, such as specialized breathing, to use concurrently with biofeedback. Upon viewing the results of their efforts in real-time during the session, the person sees how these techniques reduce their stress markers. The techniques do this by activating the parasympathetic nervous system to re-balance the sympathetic overload response, and thus re-regulate the body's involuntary control system. Most patients report feeling better after the very first session. The skills and techniques that patients learn are life-long tools for maintaining recovery, and effective self-management during times of high stress that we all experience. One of the ultimate outcomes is strengthening the immune system, which improves and maintains balanced, overall health. Successful treatment requires patient participation through daily home practice, combined with subsequent and progressive treatment sessions. Average program length: 6-10 sessions. Schedule an appointment today to help yourself keep the stress and anxiety under control.